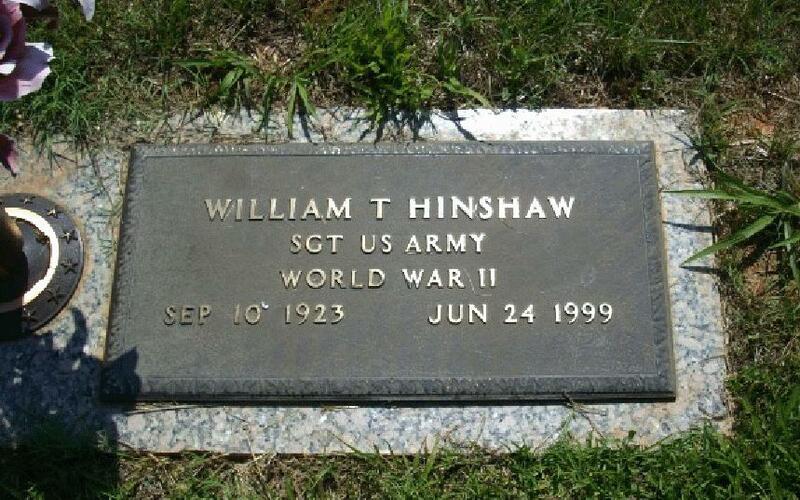 William Thomas Hinshaw1,6,7,8,9,10 [Dub Hinshaw9,11,12]. BURLINGTON - Mr. W.T. "Dub" Hinshaw, 75, of 416 W. Front St., died at 11 p.m. Thursday, June 24, 1999, at his home after 1½ years failing health, three weeks critical. 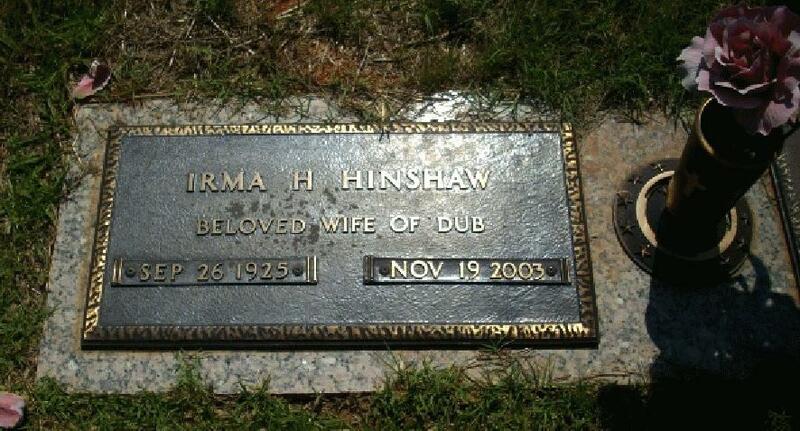 A native of Alamance County, he was the husband of Mrs. Irma Hargrove Hinshaw, who survives, and the son of Mr. William Thomas Hinshaw Sr. and Mrs. Texie Lail Hinshaw, both deceased. He was a retired letter carrier for the U.S. Postal Service. He was a member of the Alamance County Seniors Golf Association, the Sandhills Senior Golf Association and was former secretary/treasurer of the National Association of Letter Carriers. He was active in community programs as a volunteer. He was a U.S. Air Force Veteran. He was a member of Emmanuel United Methodist Church and was president of the Bivins Sunday school class. Survivors other than his wife of the home include a daughter, Mrs. Beverly Hinshaw Thomas of Pittsboro; two sons, Mr. Roger Hinshaw of Missouri City, Texas, and Mr. Terry Hinshaw of Graham; three sisters, Mrs. Tressie H. Massey, Mrs. Ruby H. Carden and Mrs. Argie H. Bivins, all of Burlington; and four grandchildren. He was preceded in death by three brothers, Mr. Brodie Hinshaw, Mr. James Hinshaw and Mr. Frank Hinshaw. The funeral will be conducted at 3 p.m. today at Emmanuel United Methodist Church by the Rev. Jim Hobbs, pastor. The body will be placed in the church 30 minutes before the service. Burial will be in Alamance Memorial Park. Honorary pallbearers will be the Zack's Men's Breakfast Club. The family will be at the home. Memorials may be made to Hospice of Alamance-Caswell, P.O. Box 2122, Burlington, N.C. 27216-2122. Mrs. Irma Hargrove Hinshaw BURLINGTON - Mrs. Irma Hargrove Hinshaw, 78, of 416 W. Front St., died at 5:30 p.m. Wednesday, Nov. 19, 2003, at the Hospice and Palliative Care Home of Burlington after four years of declining health and one week critical. A native of Alamance County, she was the wife of the late W.T. "Dub" Hinshaw, and the daughter of the late Boyd Hargrove and Ollie Thomas Hargrove. She was a retired bookkeeper with Van Newlin, C.P.A., and was a member of Emmanuel United Methodist Church. She was a member of The Quilt Guild and the Post Office Auxiliary. Survivors include a daughter, Mrs. Beverly Hinshaw Thomas and husband, Gregg, of Pittsboro; two sons, Mr. James Roger Hinshaw and wife, Lynn, of Houston, Texas and Mr. Terry Boyd Hinshaw and wife, Suzette, of Snow Camp; and four grandchildren, Elizabeth, Jamie, Lindsey, and Adam. A graveside service will be conducted at 2 p.m. Saturday, Nov. 22, 2003, at Alamance Memorial Park by the Rev. Todd Krueger. The family will be at the Rich & Thompson Mortuary in Burlington from 6 to 8 this evening, and at other times at the residence. Memorials may be made to Hospice and Palliative Care Home, 918 Chapel Hill Road, Burlington, N.C. 27215 or to Hospice and Palliative Care of Alamance-Caswell, 914 Chapel Hill Road, Burlington, N.C. 27215. Terry Family Tree", Maude Terry Moon; 1964; private printing. Obituary of W.T. Hinshaw; Burlington Times-News, Jun 27 1999.